Who wants to be Rupert Murdoch’s landlord? 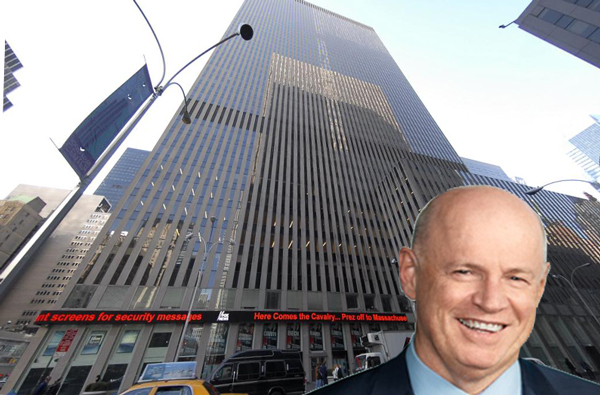 Ivanhoe Cambridge and its U.S. partner Callahan Capital Properties are looking to sell the News Corp.’s headquarters building at 1211 Sixth Avenue. The 2-million-square-foot office tower is 99 percent leased and makes $98.3 million a year in net operating income, Real Estate Alert reported, meaning if it sold at a 5 percent cap rate it could fetch close to $2 billion. Eastdil Secured has the listing. Montreal-based Ivanhoe, the real estate investment arm of Quebec’s public pension fund manager, bought a 51 percent stake in the tower from Beacon Capital for $854.3 million in 2013. Last year it picked up the remaining 49 percent for another $857.5 million.